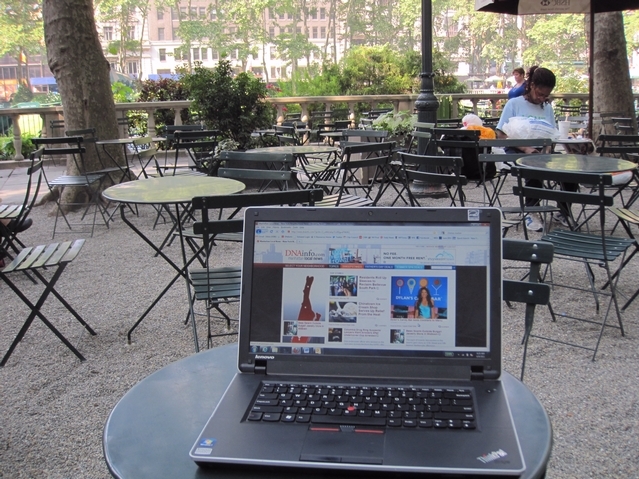 Free Wi-Fi In 32 NYC City Parks! – Darnell TheNewsMan!! Free Wi-Fi In 32 NYC City Parks! You can now stay connected to the Internet from your laptop, smartphone, tablet, and other mobile devices while enjoying parks across New York City. Time Warner Cable and Cablevision subscribers can now get free Wi-Fi in 32 city parks, thanks to a service launched by the two cable companies and the city. New Yorkers who do not subscribe to the participating companies can log in for up to 30 minutes a month for free and 99 cents per day beyond that. To find a list of WiFi-enabled parks, visit nyc.gov/parkswifi. Popular Harlem Cupcake Bakery Tonnie’s Minis Is Expanding The Brand! Joe’s Crab Shack To Open In Harlem July 30! !